book a ferry which only operates during high season (November to April each year). book an Express Transfer which operates all year round. The Express Transfer is a combination of minivan and longtail boat to get you to and from the island. It is the quickest way to Koh Ngai. Please note: ferries to Koh Ngai only run between November to April during high season. 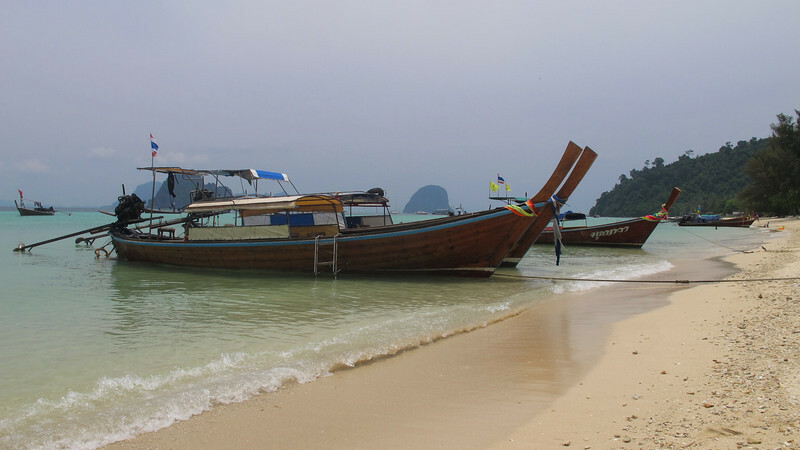 If you wish to get to Koh Ngai during low season you should book an Express Transfer. Please note there are only a handful of resorts on Koh Ngai as it’s a small island. Please check ahead for availability, especially in peak season during December and early January. 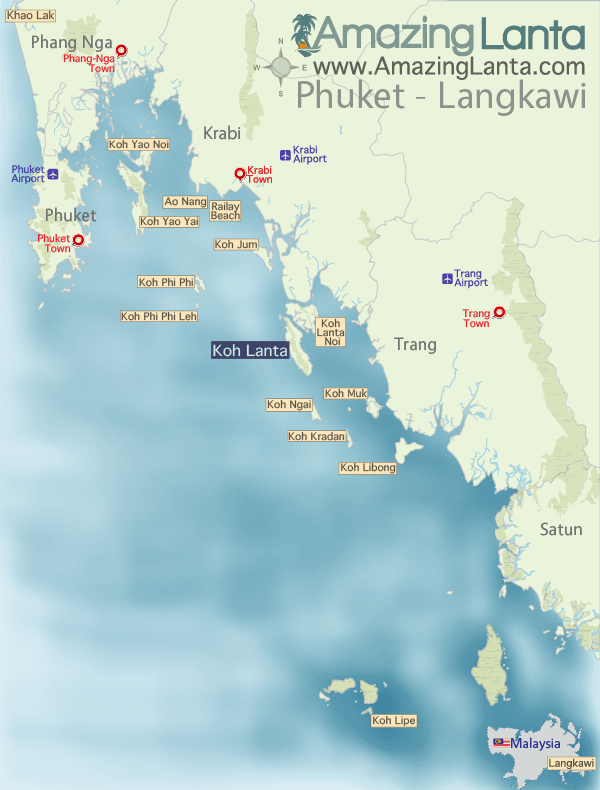 You can see Koh Ngai’s location on this map below – the nearest airport is Trang Airport.